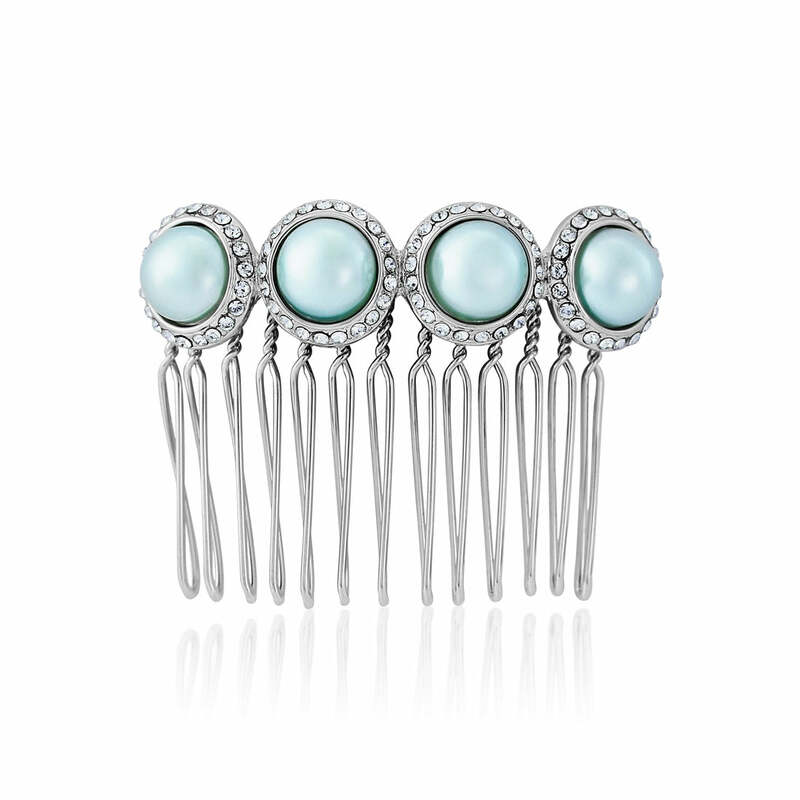 The most beautiful shade of duck egg blue gives this chic hair comb a touch of 1950s retro style. It’s fair to say we’re swooning over the beautiful hue adorning our Duck Egg Dream Hair Comb. Encrusted with the most divine shade of light duck egg blue pearls and surrounded by shimmering petite light blue crystals, this pretty ‘piece’ combines 1950s charm with timeless elegance. If you’re a bride with a stunning duck egg or Tiffany blue wedding theme and looking for the perfect blue hair accessories for your bridesmaids, Duck Egg Dream Hair Comb will bring your special day style together with graceful beauty. Team with matching earrings from our coordinating collection for utterly sensational wedding day style with more than a hint of vintage inspiration. If you adore the 50s retro look, Duck Egg Dream will unleash your inner vintage pin-up girl. Play up the girlish charms of rockabilly style and team with a flirty skirt, bobby socks and an oh-so-cute ponytail and create an outfit Sandra-Dee would envy.